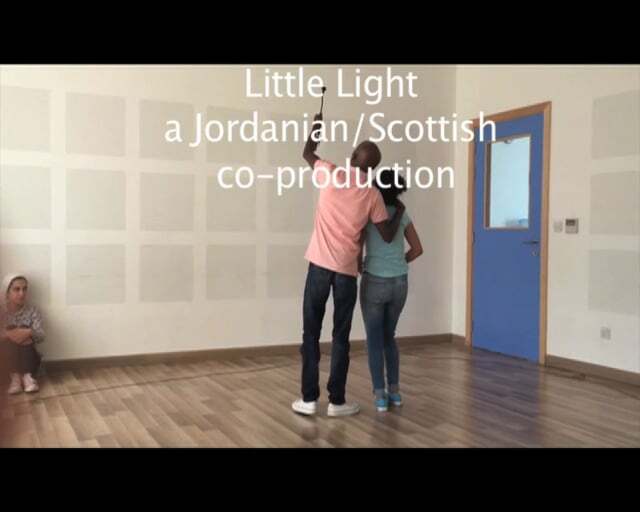 Symon and Kim from Vision Mechanics recently spent two weeks at the Haya Cultural Centre in Amman, collaborating with the Centre’s creative team to develop a new puppetry production for 3-8 year olds, The Little Light. Vision Mechanics’ visit was supported by the British Council, Jordan and Creative Scotland. The visit is part of the British Council’s ongoing support for the Haya Cultural Centre to enable the Centre to develop strategic partnerships with puppet theatres for children in the UK and to give the Centre’s creative team the opportunity to receive training in puppetry and boost their skills. As well as passing on our expertise, it is a great opportunity for Vision Mechanics to immerse ourselves in Jordanian culture and work with talented Jordanian performers on this co-production, which will embrace each country’s uniqueness and similarities.